Understorey palm. Stems clustered, forming large colonies, 1-8 m tall and 1.5-5 cm in diameter. Leaf blade 1-2 m long; pinnae 30-50 on each side, regularly inserted and spreading in one plane, the central ones 40-70 cm long and 2-3.5 cm wide, lined with small black spines along the midrib and the margins. Inflorescence 25-50 cm long, unbranched or with 2-3, 10-12 cm long branches. Female flowers regularly arranged along the branches. Fruits glossy black, 2-5 cm long, tightly packed; fruiting perianth with a small, lobed calyx, a much longer corolla, and a staminodial ring. 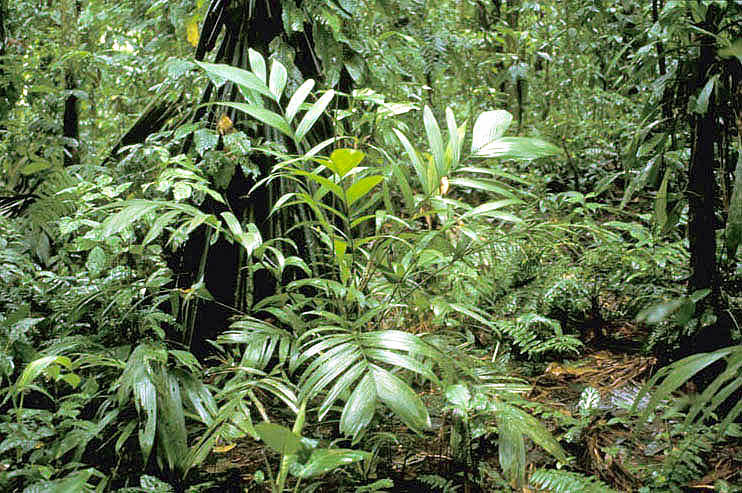 W Amazon region in Colombia, Ecuador, Peru, Bolivia, and Brazil. 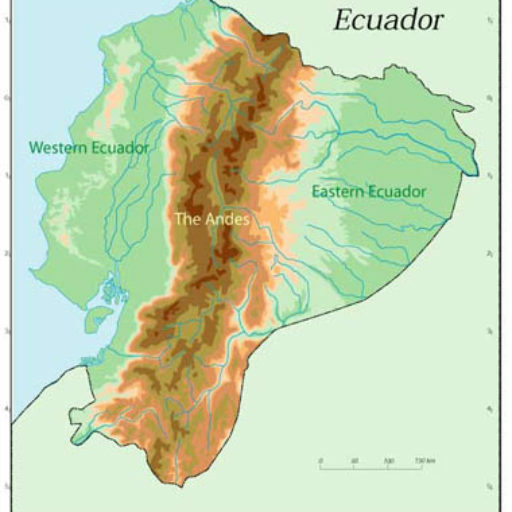 In Ecuador it is a common species throughout the E lowlands, forming large colonies on periodically flooded terrain especially along black water streams, or more rarely on river terraces. Henderson (1995) recognised three varieties of this species, now considered distinct species (Henderson 2000): var. inundata (=B. concinna), var. concinna (=B. martiana) and var. sigmoideae (=B. 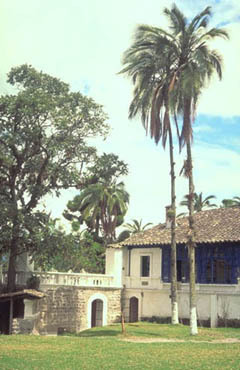 chaveziae). (B. Bergmann #97849 and additional references). (Pinkley 1973 and additional references). (B. Bergmann #97853 and additional references).